Craft Easy, Great Drinks With Gin! When thinking of drinks with Gin, most people think of awfully dry cocktails that burn your throat and taste like pine needles. Well, while some of that may be true, Gin can actually be one of the most versatile of base alcohol's on the planet. In this list you'll find 27 of the best drink with gin that you can make easily in your own home. From fruity concoctions to instant classics and perfectly dry cocktails, this list will have you covered no matter your tastes. Drinks these days are too complicated and often overdone. We're here to change that, and make it easy for anyone to craft a 5-star cocktail in the comfort of their own home. Without further ado, here is our list of the 27 best drinks with gin you'll ever make! The venerable Tom Collins, one of the easiest, most crowd pleasing gin drinks you can make. The Tom Collins is highly favored because it's a very easy concoction that tastes great and even pleases the most stern of gin haters. This sparkling gin cocktail is an easy, safe, friendly cocktail that tastes like a sparkling lemonade (with a nice kick). It would be tough to find a crowd of people who disliked the drink, especially on hot summer days or a warm spring night. This easy to craft fan favorite is sure to please anyone you serve it to. Click here to see the recipe and step-by-step instructions on crafting the perfect Tom Collins! The Gin Martini is one of the platinum standards in cocktails. The Gin Martini is a great cocktail that survived Prohibition and the evolution of Vodka based drinks. Differing from a Martini with Vodka, we prefer to add a citrus garnish rather than an olive garnish. This citrus kick works wonders in bringing out the light notes of sweetness in the vermouth. Don't be afraid to jump in the saddle and whip up this wonderful cocktail, you won't be disappointed. 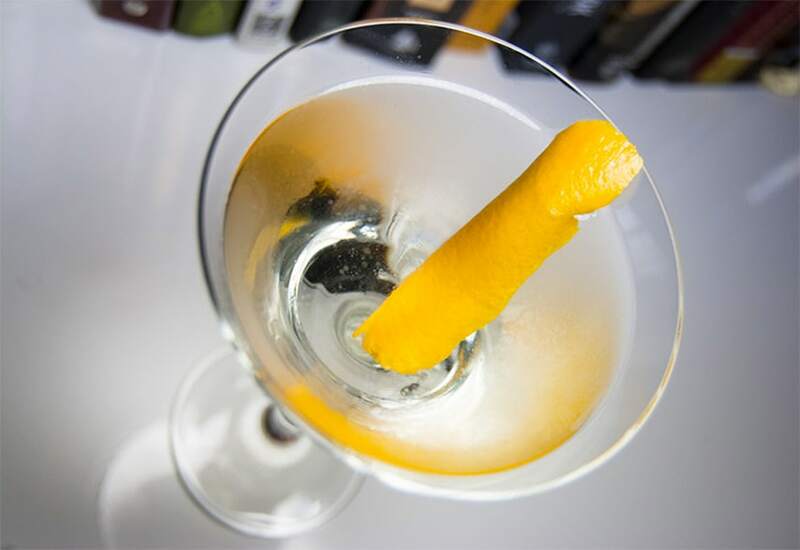 Click here to see the recipe and step-by-step instructions on crafting the perfect Gin Martini! The Gimlet is a drink that often times is mixed with Vodka instead of Gin, but, Gin adds a much better, defined note to the drink that Vodka lacks. This drink is heavily citrus based and is incredibly refreshing. The Gimlet is best to be drunk slowly and sipped in small amounts to really grasp the depth behind this simple, easy drink. Click here to see the recipe and step-by-step instructions on crafting the perfect Gimlet! Regular Gin Fizz's are excruciatingly boring, if we're being honest. Here's where the Ramos Gin Fizz comes in. It's an incredible concoction that's got the look and feel of a classic milkshake. Winning. Born out of New Orleans in 1888, this foamy combination of greatness combines a detailed list of ingredients producing a spectacular, unique drink. While the ingredients list is longer than most of the cocktails we list here, this is the exception solely because it is 100% worth spending the extra time to make it. Click here for the recipe and step-by-step instructions to craft an amazing Ramos Gin Fizz! The Pink Gin is a simple bitters-forward drink with gin enjoyed by the Royal Navy of the 19th century. Bracingly bitter, pink gin combines the intense herbal notes of gin with the spicy notes of Angostura Bitters — amazing. Despite having only two ingredients, the depth within this drink is unbelievably surprising. This is one of the easiest drinks with gin to make at home and will produce a unique celebration of the two ingredients. Click here for the recipe and step-by-step instructions on crafting the Pink Gin! The Cosmopolitan gets a bad rep, but, it's actually a top-notch drink, especially when mixed with Gin. The Gin Cosmopolitan delivers a wonderful balance of sweet and tart in an incredibly aesthetic finish. 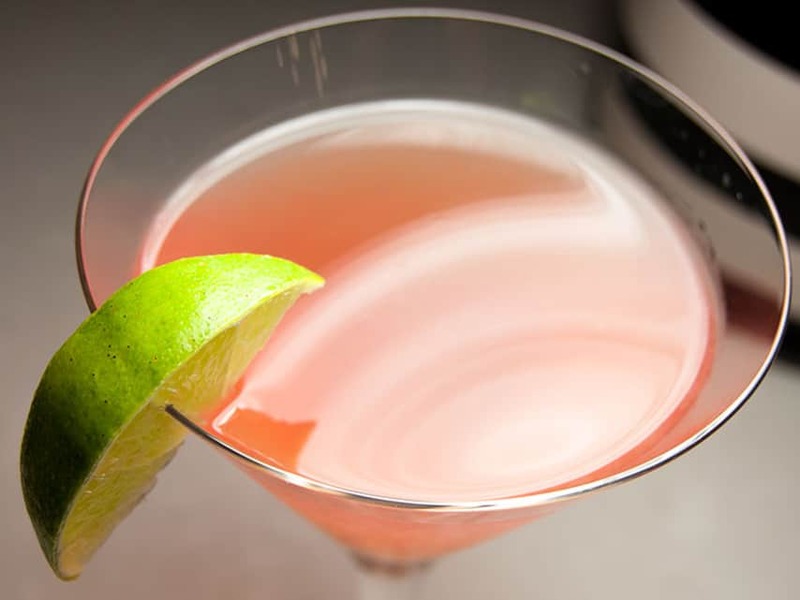 Using gin in the cosmopolitan delivers a great depth to the drink that a citrus flavored Vodka can't. This is a perfect drink with gin to enjoy in any setting, and can be a great party addition to add some flare. Click here for the recipe and step-by-step instructions on crafting the perfect Gin Cosmopolitan! The Dry Aviation is a twist on the Aviation — the normal cocktail contains half an ounce each of maraschino and lemon juice, and a quarter ounce of creme de violette. Instead, we dropped that to a quarter ounce of the first two, and a bar-spoon of the latter, keeping the gin portion steady. This crafts a much more spirit-based drink, with beautiful notes of citrus, sweet and floral. This drink is strong, yet diverse and delicious. Give it a shot! Click here to get the recipe and step-by-step instructions! The Singapore Sling is made up of a base liquor and three accent liqueurs, plus two different fruit juices, grenadine and bitters. This is truly an amazing drink that you need to experience in your own home. Singapore Sling tops the list of most flavorful drinks with gin, going down like water and packing a nice punch. Make sure you use fresh fruit juice to really bring out the depth in flavors, and enjoy crafting this masterpiece! Click here for the recipe and step-by-step instructions on making the Singapore Sling! The Clover Club is one of our favorite drinks with gin, and is a true pre-prohibition classic! This gin drink is a simple combination of gin, raspberry syrup, and lemon juice. Often egg white is used to give the cocktail a silky mouthfeel and a big, foamy head. This simple, yet incredibly delicious cocktail is a must try for those looking to get something tastier than a classic gin and tonic or gin fizz. The Pegu Club cocktail, a combination of gin, lime and curacao, came to prominence in the 1970's and still remains popular today. Why? Because it's an amazing cocktail that will stand the test of time and creativity. The cocktail is simple to make and very easy to adjust based on differing tastes and ingredient availability. Like most sours, this drink with gin is best prepared with fresh-squeezed citrus juice, shaken thoroughly, and consumed quickly after to take in the aroma. This drink with gin is sure to please anybody you have at your home, and is a great concoction for any occasion! 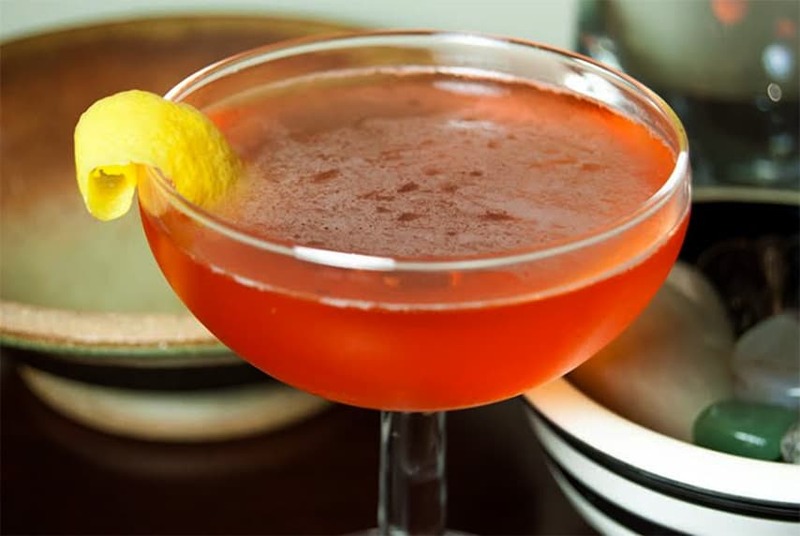 The Monkey Gland is a classic cocktail dating back to the prohibition era, and is attributed to Harry MacElhone in Paris. The drinks strange name is derived from an even stranger history of Dr. Serge Voronoff from Russia who experimented with grafting testicular tissue from a monkey into a human being to increase virility. Yeah, it's weird. But hey, the drink is stellar! Combining London Dry Gin, fresh orange juice, pomegranate grenadine and absinthe, this cocktail packs a punch and tastes incredible. 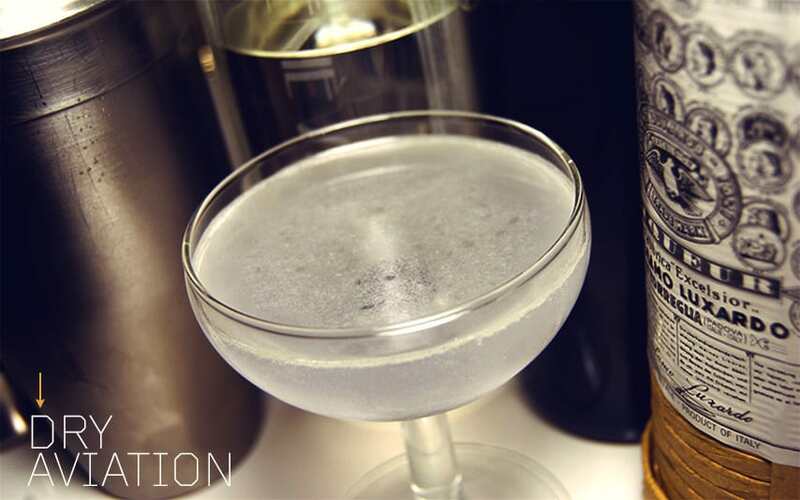 Click here for the recipe and step-by-step instructions on crafting the Monkey Gland! The Caprice is the definition of a small but mighty cocktail, with the finished volume of 2.5 ounces, but packing more punch and flavor than most cocktails you've ever tried. The Caprice requires a traditional, juniper-heavy London Dry gin, dry vermouth, and a citrus heavy orange bitters, producing 2.5 ounces of pure magic. Combining all of these in a pint glass over ice and stirring thoroughly will craft your perfect Caprice! The White Lady is a simple, basic variation on the gin sour, replacing the sugar or syrup with triple sec – a drier version of curacao. Let's talk about the ingredients that make up this great cocktail. Triple sec is a less sweet version of simple syrup, significantly more alcoholic, and brings a deep orange aroma to the mix. This also combines perfectly with gin. The classic sour ratio of two ounces of gin, 1oz triple sec, and 3/4 lemon juice provides a unique, sophisticated, elegant drink with subtle tones of juniper. Click here for the recipe and step-by-step instructions on crafting the perfect White Lady! The English Bulldog is Christopher Buecheler's very own creation here at Primer! Chris' drink with gin, the English Bulldog, was entered into Tanqueray's 2010 “Best T&T” contest, winning the grand prize. Impressive stuff. And the drink is tasty too. Chris' goal was to create an amazing twist and spin on the classic gin and tonic, and he perfectly nailed it with a orange citrus twist that will leave you speechless. Incorporating orange marmalade might seem crazy, but it provides an unbelievable depth and brings this drink full circle. The Starfire cocktail adds curacao (an orange liqueur) and orange bitters to the mix, with the gin providing a kick, and the dry vermouth to smooth things out. The green Chartreuse rinse adds depth, but can be optional if you don't have any in your cupboard. With only a quarter ounce of Aperol, this cocktail takes an ingredient that's already soft and gentle and spreads it out. 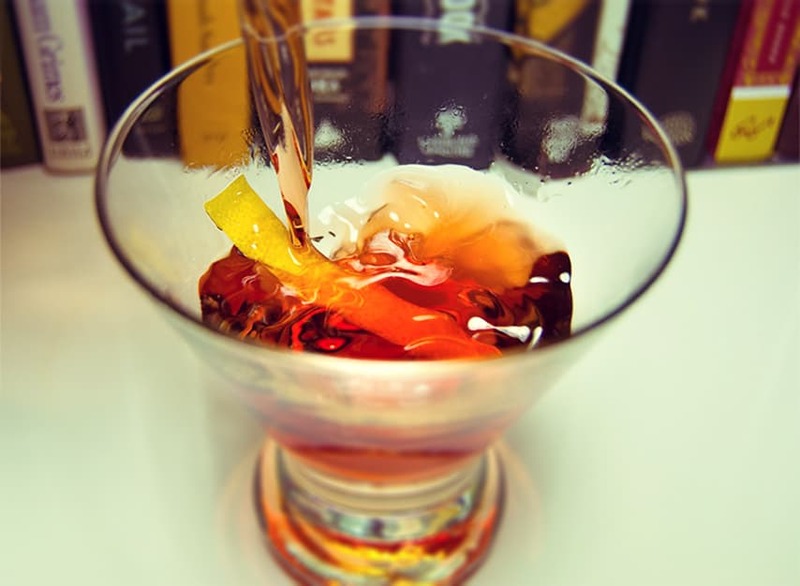 Aperol is a delicious Italian liqueur that is often very cheap and easy to find. Enjoy this drink by the fire or for a fancy cocktail party, or if you are just craving one of these amazing concoctions. This drink with gin is highly unique in that it uses real honey to craft an incredibly sweet, yet not overpowering flavor. Combining three simple ingredients of gin, lemon juice and honey crafts this wonderful, sweet cocktail that is drinkable at any occasion or anytime of the day! 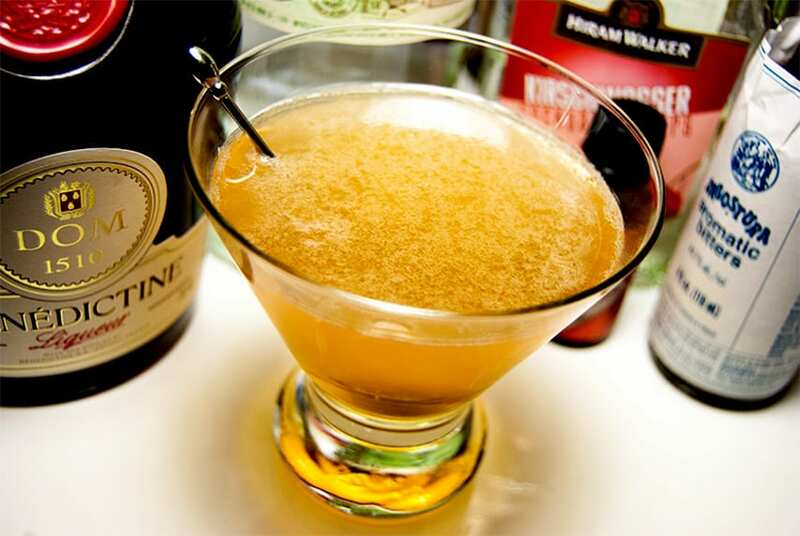 The French 75 is one of the most classic cocktails ever made with sparkling wine, similar to that of the Seelbach and Champagne Cocktail. Essentially, the French 75 is a gin fizz made with champagne instead of club soda — yum. The drink is named after the famous French 75 mm field guns from WWI. We recommend going lightly on the lemon juice to make it more elegant and classy. Enjoy this cocktail anytime and on any occasion, or if you are just looking for a fun cocktail to craft! 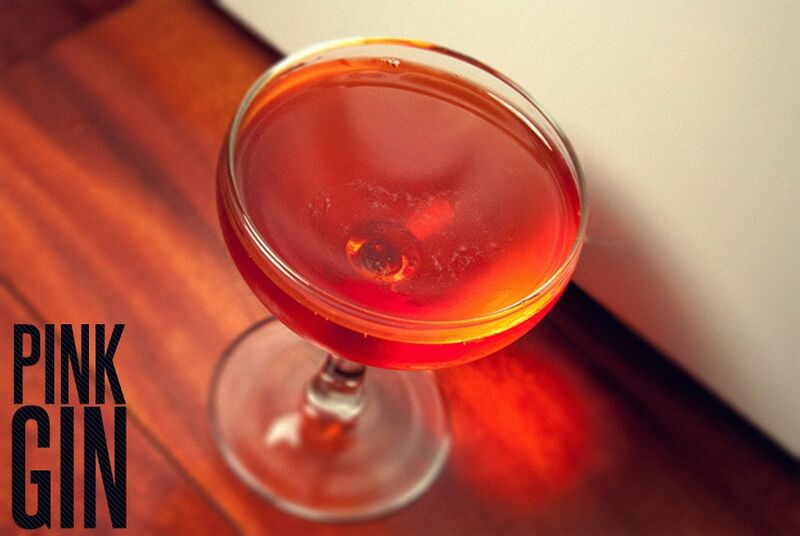 The Amber Dream is commonly described as a “martini with stuff in it” — and well, that's basically what it is. But, don't let that takeaway from the beauty that this cocktail is. 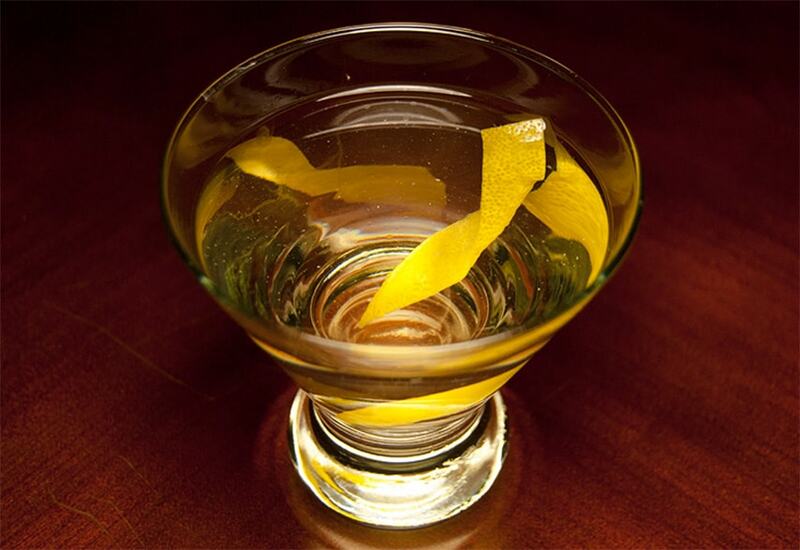 According to Dale DeGroff, the Amber Dream originated in 1935 using yellow Chartreuse and dry vermouth. Featuring a small but effective splash of herbal Chartreuse and a heaping load of vermouth, the Amber Dream becomes the perfect blend of sweet and smooth. Enjoy this cocktail whenever you are in the mood for something sweet and satisfyingly strong. The Cabaret Varient is a tweak of the Cabaret that's drier than a Martinez and sweeter than a dry Martini — the perfect balance. Combining gin, Dubonnet Rouge, orange bitters, and Rinse Pastis, this cocktail has a wonderful citrus punch. Give this one a try if you are feeling adventurous! The H&H is an interesting, easily drinkable twist on the modern Martini that combines more flavors to the mix including curacao and Lillet Blanc. If you aren't fond of, or are sick of dry vermouth, this could quickly become your new favorite drink with gin. The original recipe for the H&H lacks bitters, so we've added them here to mix things up. Pun intended. The Strait Jacket will not make you go crazy, leading you to be institutionalized and put in an actual straight jacket. Well, at least it's not likely. Originating as a Tiki Drink, Haigh also mentions that the drink can be mixed up without soda, making a delicious cocktail dubbed the Strait Jacket. This cocktail is perfect for a nice sunny day, relaxing on the front porch and soaking up some vitamin D.
It's incredibly easily to make, and it goes down even easier! Click here to see the recipe and step-by-step instructions! The Last Word is a lesser-known cocktail that was nearly lost to history, but is a truthfully great classic. It was originally developed at the Detroit Athletic Club and then revitalized in 2004 by Murray Stenson. Thanks Murray! 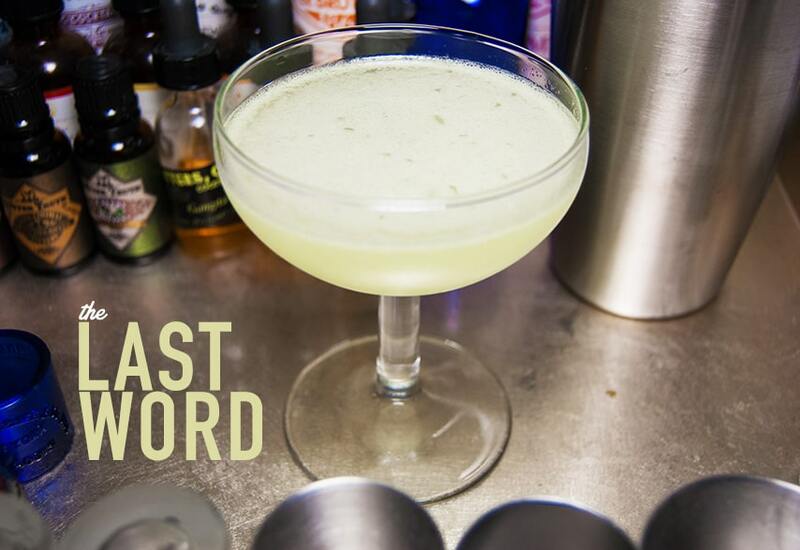 The Last Word is another great prohibition-era drink with gin. It works extremely well with London Dry gin and fresh lime juice. This cocktail is a must try and can easily be made in your own home with just four simple ingredients, so, get crafting! 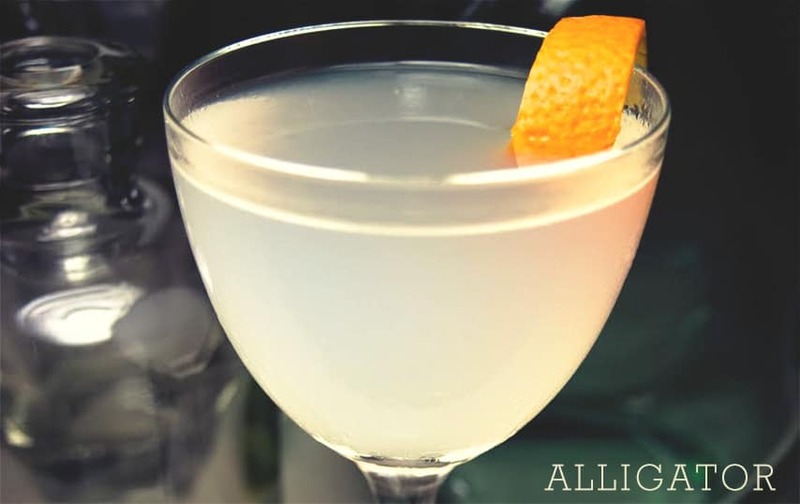 The Alligator is a unique drink with gin, incorporating almond flavor that really shakes it up. This cocktail features orgeat, which is made from rose or orange water, almonds and sugar. It's less spicy than Amaretto and doesn't have any alcohol. Mainly used as a flavor accent, orgeat is found in the beloved Mai Tai! This simple, three ingredient drink is a must try for the adventurous cocktail seeker, and will be a pleasant surprise to newcomers. Click here for the recipe and detailed step-by-step instructions! The Bijou is an almost forgotten classic invented by Harry Johnson in the late 1800s. 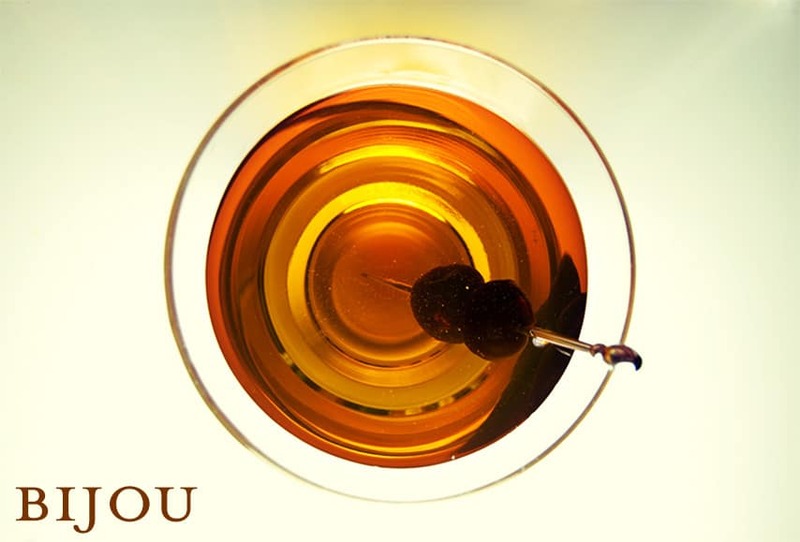 The Bijou is truly an herbal masterpiece, especially when mixed with sweet vermouth. With just 4 ingredients, you can make this drink in a minute and enjoy it thoroughly. Just take London dry gin, sweet vermouth, green chartreuse and orange bitters and you've got a 5-star cocktail in your glass. Click here for the recipe and step-by-step instructions on crafting the perfect Bijou! 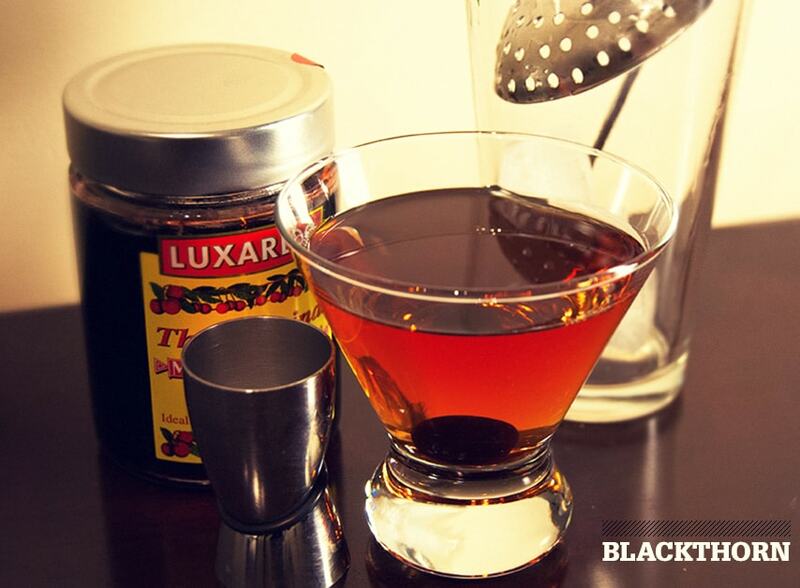 The Blackthorn perfectly combines the gin and fortified wine Dubonnet, making a beautiful marriage of flavors. The Blackthorn contains 2oz of Gin, .75oz of Dubonnet, and .75oz of Kirschwasser (Hiram Walker is inexpensive and widely available). While you may not have heard of two of these ingredients, they are worth seeking out at your local store, especially for crafting this cocktail. The Carver was named by none other than our very own Primer writer Chris, who named it after the town in Massachusetts that he used to visit as a kid with his parents. He'd go to Edaville and ride their train through cranberry bogs, thus, the inspiration behind this cocktail. This home-made, hand crafted recipe is truly a crowd favorite and surely won't disappoint even the snobbiest of cocktail snobs. Get your hands on some gin, cranberry juice, curacao, aperol, fresh lime juice and citrus bitters to concoct this masterpiece that can be enjoyed anytime of the year. The Corpse Reviver No. 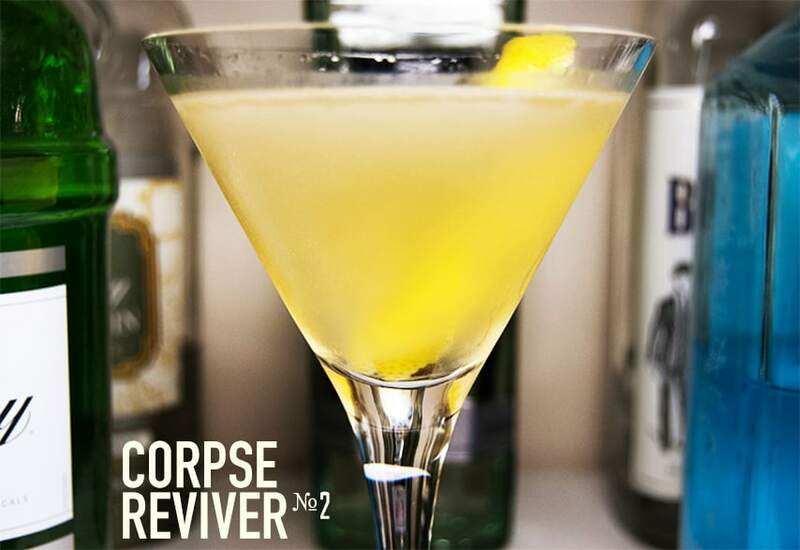 2 is a modified version of the Corpse Reiviver from Julie Reiner's Flatiron Loungue in Manhattan. The original recipe calls for equal parts of each ingredient, but we found that to be too sweet and intense, so we cut the lemon juice down and doubled the gin. Win win. Take some gin, Lillet Blanc, Curacao, fresh lemon juice and bitters to create this tasty, refreshingly smooth drink with gin. 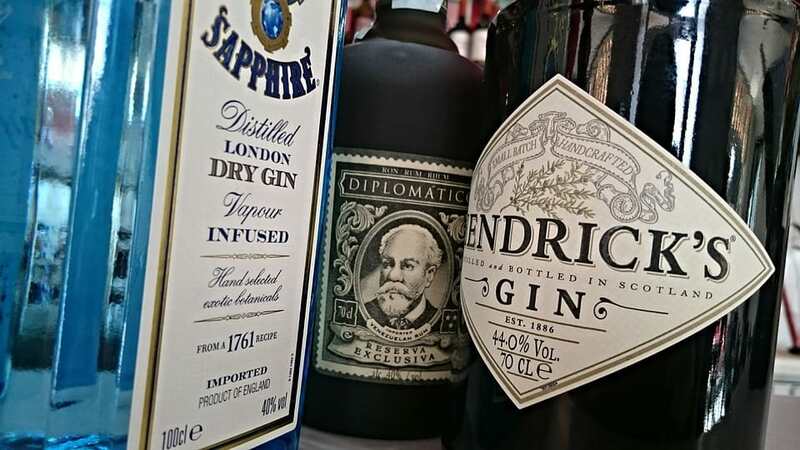 Well, now that you've got our master list of 27 of the best drinks with gin that you'll ever make and taste, what are you waiting for? Whip out the glasses and start pouring some delicious cocktails for you and your friends, and show off some new found cocktail knowledge! We hope you enjoyed these recipes and drink variations with a unique Primer spin.